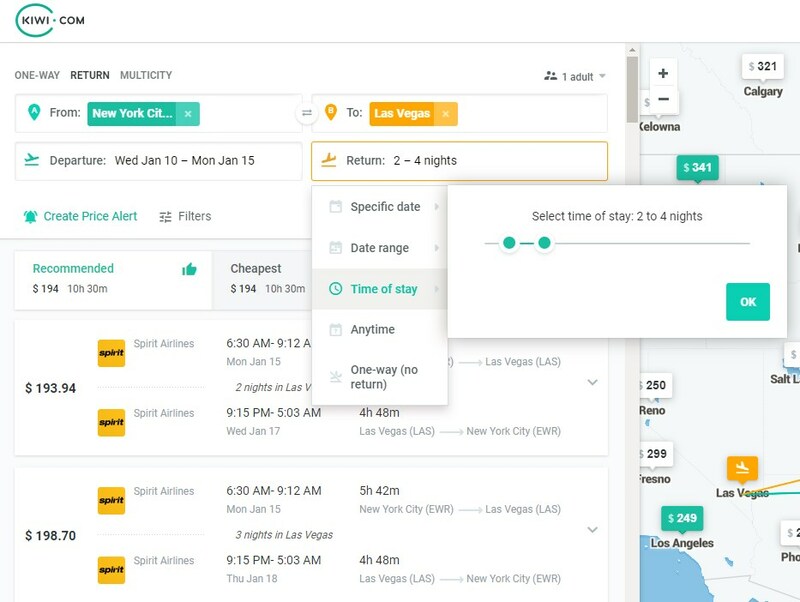 A number of Flight Search Engines allow one to specify flexible dates which are a plus or minus offset number of days from the selected departure and return dates. This works nicely when one has a good flexibility. However, I am tight on dates and want to take a short trip. When using these flexible dates a good number of results come up with either unreasonably short trips such as departure and next day return or too long ones. Is there a search engine where I can specify a departure date (plus flexible date offset would be great) and a duration of stay (possibly a small range)? For example, if I want to stay 4 days somewhere but I use the common flexible date option and put in Jan 20 and Jan 24 with ±3, then I get offered flights for Jan 21 to 22 which is unreasonably short and Jan 17 to 27 which is more days than I can take. Instead I would like to say Departure Jan 20 ±3 days and Duration of Stay: 3-5 days. Is there any site that offers such feature for flights for most carriers? Google Flights: its "Flexible Dates" and "Price graph" features are both perfect for showing you the price of trips of a given length. Using Flexible Dates, you can just browse on the diagonal; Price Graph explicitly lets you specify the length of the stay. Granted, it sounds like you're also looking for a list of flights (rather than the price); there's still one extra click before you see those for each day. However, it's probably the best tool I know for this! ITA Matrix has the exact same functionality, except even more exactly what you're looking for (albeit with a harder-to-use interface). You can specify that you're looking for trips of X-Y days (e.g., 5-7 days). 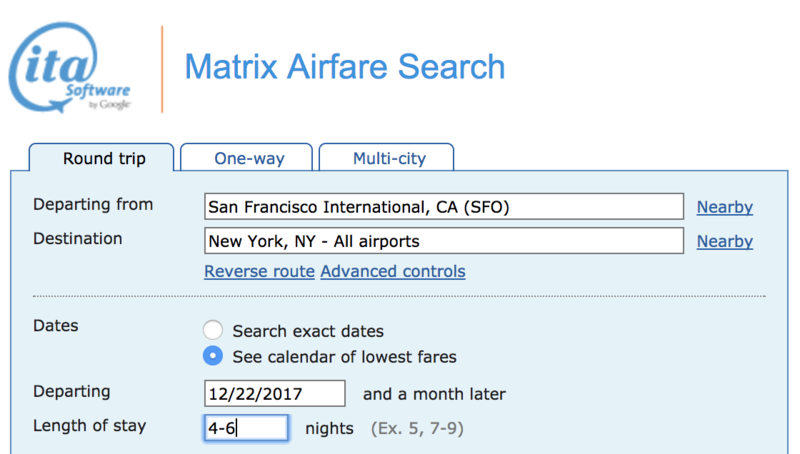 If you find flights using this, book them with a tool like BookWithMatrix. Still, I personally prefer Google Flights for this, since it's way faster and snappier. One more occasion to laud Kiwi (see here, here and here as well). You can specify both a date range for the departure and a range for the time/duration of stay in nights. Additional features include connections on multiple tickets or great flexibility in destination and departure airport. Highly recommended. P.S: this direct link to the query pictured above should be good until Jan 2018 (when the departure will be in the past).